Andrew: This will be a short post, because I don’t have much to say about actual beer yet. 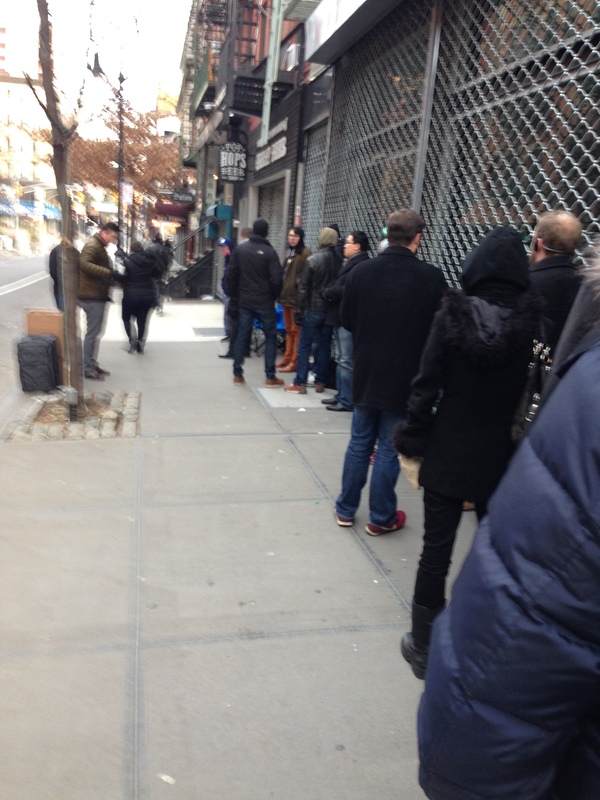 Last Friday, I braved a cold morning in NYC to stand on a line. No, it wasn’t to get a deal on a LCD TV or $1 Space Jam DVD … surprise! … it was for beer. I headed down to one of my favorite beer stores, Top Hops in the Lower East Side, to score some Goose Island Bourbon County beers and shiver amongst my fellow beer nerds. It was a fun time, and a little bonus was some free SWAG! Andrew also gave out a nice Bourbon County tulip glass and a poster (I’ll post images of these later. I can’t now because it’s in the baby’s room and she’s sleeping … nothing is worth waking her up! Not even this blog!) I still haven’t opened my bottles of the coffee stout or (new) barleywine, but I plan to do so this weekend, so expect a review to follow. 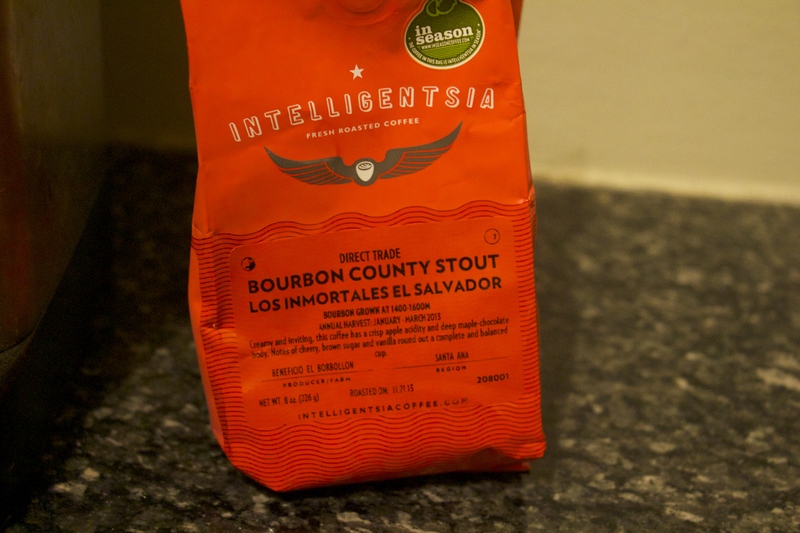 I did have this year’s Bourbon County Brand Stout (regular version), and I really enjoyed it. I had it for the first time in 2012, and I really liked it then. When I eventually tried the coffee and cherry rye variants on tap, I was blown away and kind of dismissed the regular stout in comparison. But, now, I think my palate has really matured over the last year of epic beer drinkery, because I LOVE this year’s batch of regular BCBS. I still have a bottle of 2012 and will hold on to that for another couple years before I open it. Quick review of BCBS: Great vanilla and roasty chocolate flavors. The mouthfeel on Bourbon County stouts are always amazing and this year’s is just as good. I guess this wasn’t as short as I expected … I could talk about beer all day!